When it comes to choosing materials for a kitchen, worktops are a key consideration. Modern consumers expect high quality surfaces that look great, are hard-wearing and complete the look of their kitchen. The range of colours, styles and finishes can be a little overwhelming, so it is worth being aware of the top five considerations for consumers that are choosing a kitchen worktop. Budget is of course a key factor in the decision making process. 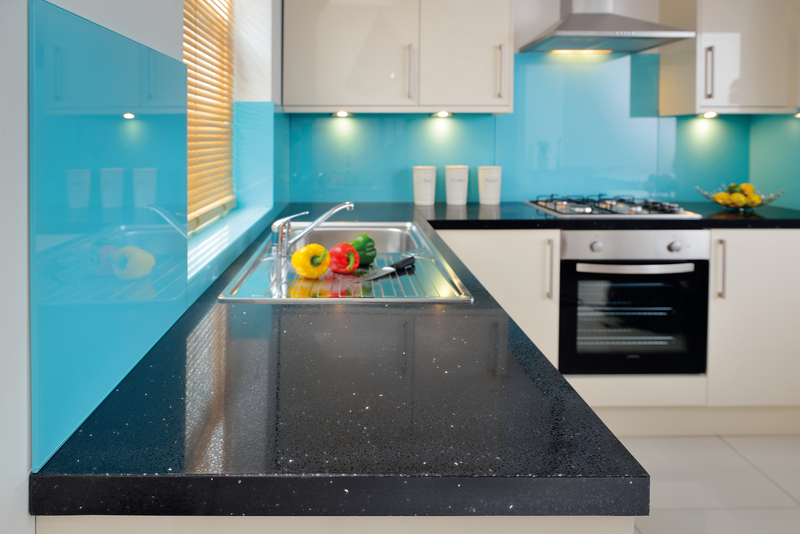 At the lower price points, laminate worktops offer a cost-effective solution and are available in a range of colours. However, increasingly consumers are opting for natural wood or stone worktops as they offer an aspirational finish and complement both contemporary and traditional interiors. Wood is difficult to maintain and needs regular protective surface treatment, which makes stone a more popular solution. However solid stone a costly material and due to the weight of a solid stone product – delivery and installation costs are higher too. It is therefore wise to offer other, off-the-shelf alternatives that have the same stunning finish of real stone, but are easier to fit and better value for money. Once a consumer has selected a kitchen, waiting for delivery and installation can be a real frustration, as can sky-high installation costs. Therefore, it is wise to offer surfaces that can be installed with a short lead time and for a cost-effective price. The heavier the worktops, the more people will be needed to manage the installation, which obviously drives costs up. Not only this, but heavy materials need to be pre-cut off site, which is also time consuming. Laminate and composite surfaces on the other hand can be installed by just one person and can be fitted on site, making the process much quicker and more cost effective. This can obviously heavily influence a consumer’s decision making process. Although a rugged, natural appearance is most popular when it comes to work surfaces, a smooth finish is essential to provide a hygienic and low-maintenance worktop solution. Even tiny imperfections, which can occur with natural materials, can be difficult to clean. By offering pre-finished ranges with a smooth finish, your consumers are less likely to encounter any problems cleaning their surface once it is installed. We are noticing an emerging trend for different coloured surfaces. As consumers are creating statement kitchens, they are looking for various colour options, to compliment their own colour palette. Complimentary colours can also be used to differentiate between areas, for example with a slightly different coloured worktop in the kitchen and utility room. In order to appeal to these wide-ranging consumer demands, we would recommend offering a variety of colour options. Caring for a kitchen worktop should be easy. A solid, quality work surface should be durable and 100% water proof, with neat edges and a seamless finish. This provides peace of mind for any prospective buyer, but also ensures a low-maintenance after sales service too! As a retailer, you can build your relationship with the consumer by offering simple advice about caring for their worktop. This helps to ensure they remain happy with the product and also provides reassurance that their investment will last.